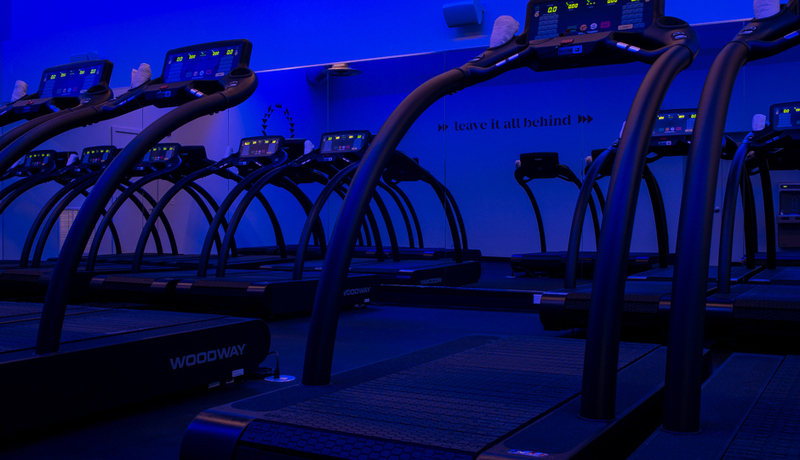 The studio comes complete with 19 Woodway treadmills and coaches to keep you pounding away through classes. By Adjua Fisher·	 1/31/2017, 10:00 a.m.
Sure, winter running hasn’t been all that miserable this year, but that doesn’t mean that the opening of Incline Running, the first Philly-area boutique treadmill fitness studio — a trend that’s blown up in New York, thanks to the studio Mile High Run Club — isn’t something to cheer about. 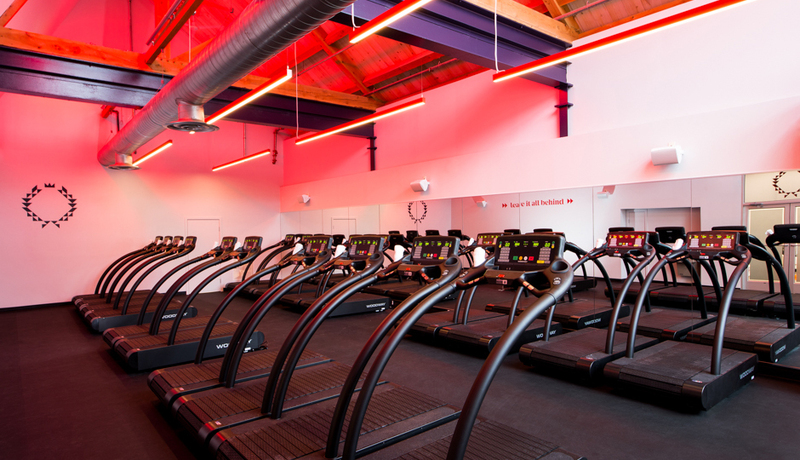 While Philly does boast fitness studios that work treadmills into their signature workouts, like Unite Fitness and Ripped PHL, Incline Running is the first dedicated treadmill studio in the area, according to a press release. And we have to say, the boutique running spot, which opened its doors yesterday, looks like it serves up quite the experience. 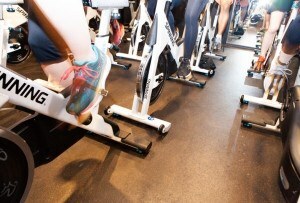 The 3,635-square-foot studio, at 519 West Lancaster Avenue in Haverford, is decked out with 19 Woodway treadmills — designed to be gentle on your joints — and multicolored LED lights that adjust according to the rhythm of the classes, all of which are taught to engaging soundtracks, some themed. See? An experience. Now, about the classes: Incline Running offers five classes designed to be accessible to both beginners and advanced runners, with coaches guiding you through to maximize the benefits of your treadmill run, regardless of your fitness level. 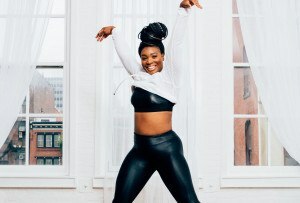 There’s Run One, an all-levels 45-minute high-intensity interval-training class that includes running and core work; Distance, a distance-running (duh) class, where you go at your own speed for 60 minutes (they bill this as the perfect training class for a 10K or half marathon); Hills, a 45-minute class where you’ll tackle inclines indoors; Classics Walk, a 45-minute power-walking class set to throwback tunes; and Power Walk, a core-focused power-walking class. Along with the running studio, Incline also slings seasonal running gear in their retail boutique, along with perfect-for-refueling goodies from the Juice. When it comes to locker rooms, theirs come complete with showers and towel service. Long story short: It sounds like the place to go when you feel like gussying up your run. You can check out Incline’s schedule — they offer between four and eight classes a day — here. A single class will run you $28, or you can opt for an unlimited monthly membership ($199) or a class pack. But know, first-timers run for free. 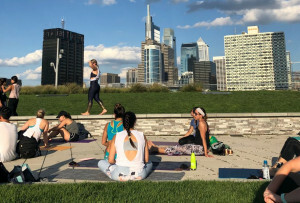 And Center City-ites, do note: While the first outpost for Incline Running is on the Main Line, the press release reveals that they are on the hunt for spots to open a Center City location.